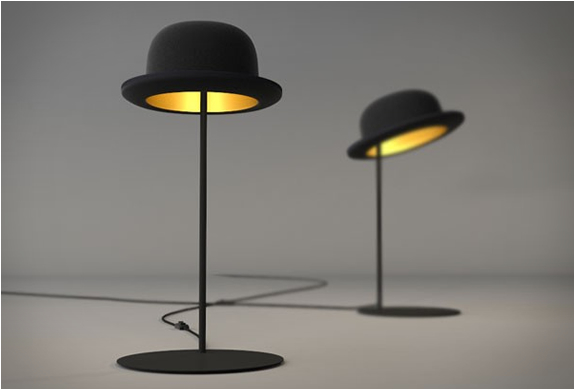 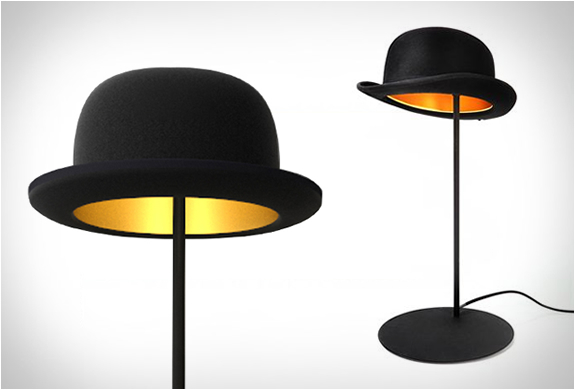 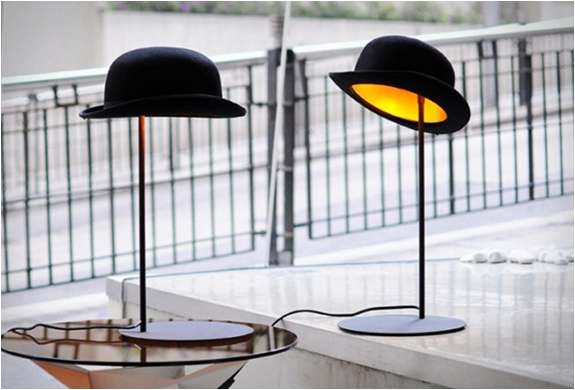 Designed by British designer Jake Phipps, this quirky lamp is inspired by a classic British cultural icon, the Bowler Hat. 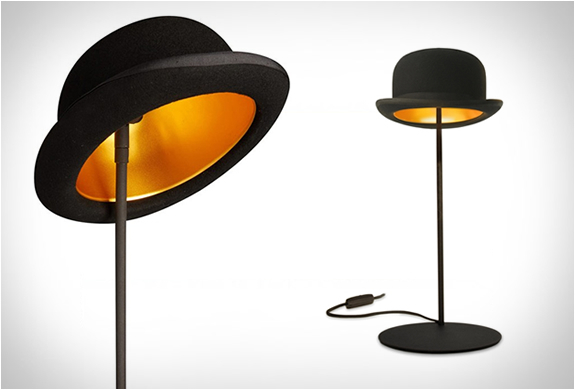 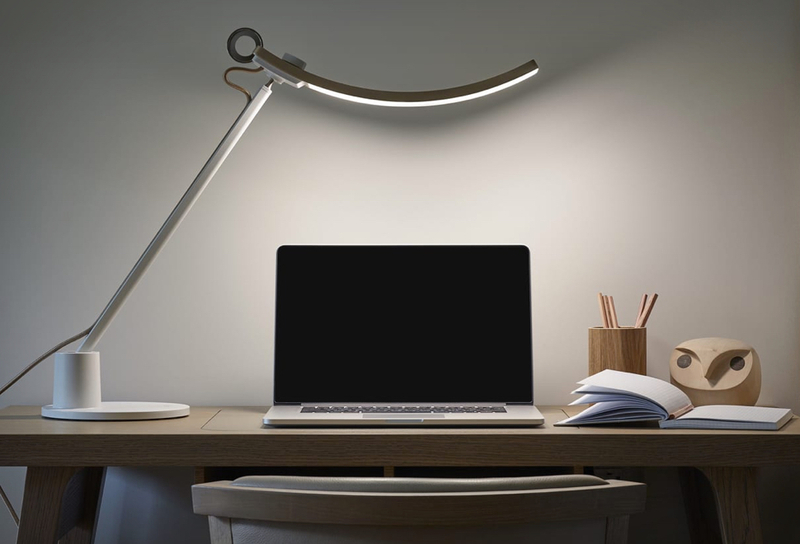 The Jeeves Lamp is made with an authentic bowler hat that is lined with gold aluminum to reflect light optimally, and is adjustable so you can tip your hat. 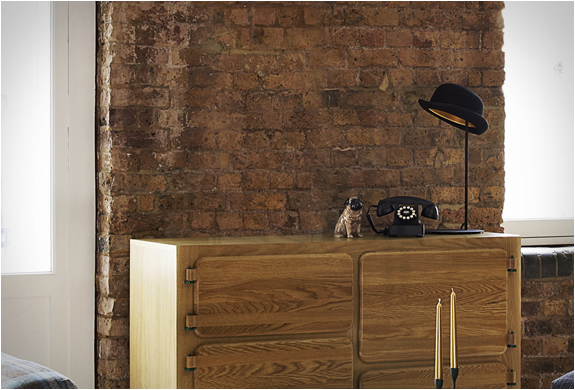 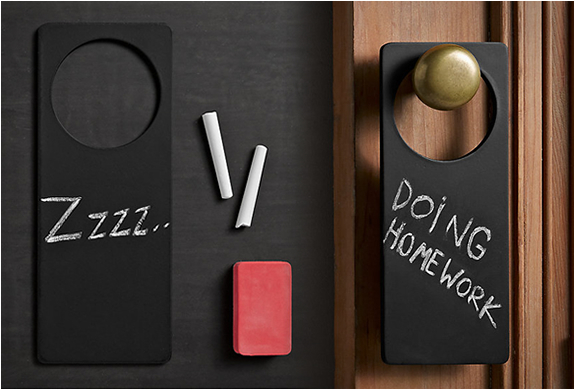 A classic statement piece that ads a gentle welcoming glow which is perfect for any room.